Alan Tudyk and Nathan Fillion’s Con Man already had a bit of a twisty turn-y satirical premise—it was a series about actors in another series within it, a Firefly-esque show called Spectrum cancelled before its time. But now Spectrum is going to live on in our world, if not in Con Man’s, as a new comic miniseries. 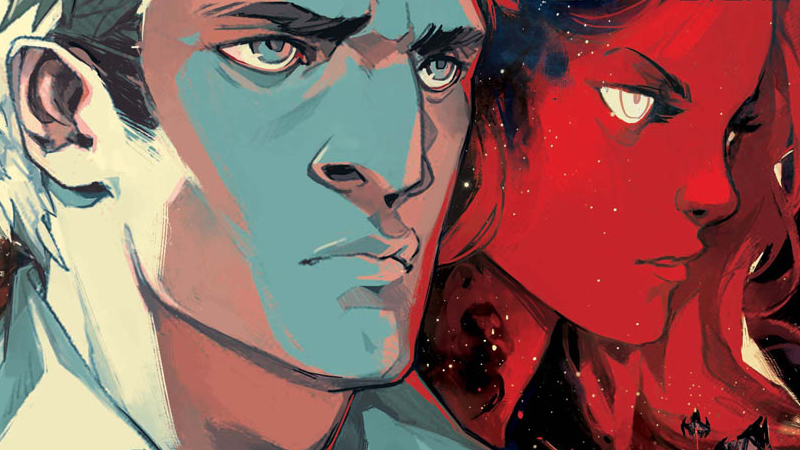 Tudyk will co-write the Spectrum comic with Canadian author and fellow Con Man producer PJ Haarsma, with art provided by Sarah Stone, for Automatic Publishing. Spectrum follows the adventures of starship Captain James Raaker (played in Con Man’s world by actor Jack Moore—Nathan Fillion himself), commanding an experimental spaceship as Earth’s last hope following a catastrophic alien invasion. It’s such a weird idea—but the idea of Tudyk creating his own sci-fi comic that is vaguely Firefly in a roundabout way is delightful. The miniseries will last for four issues, with the special “#0” debut releasing for free as part of the annual celebration for Free Comic Book Day on May 7th, 2016.